Pictures speak louder than words. 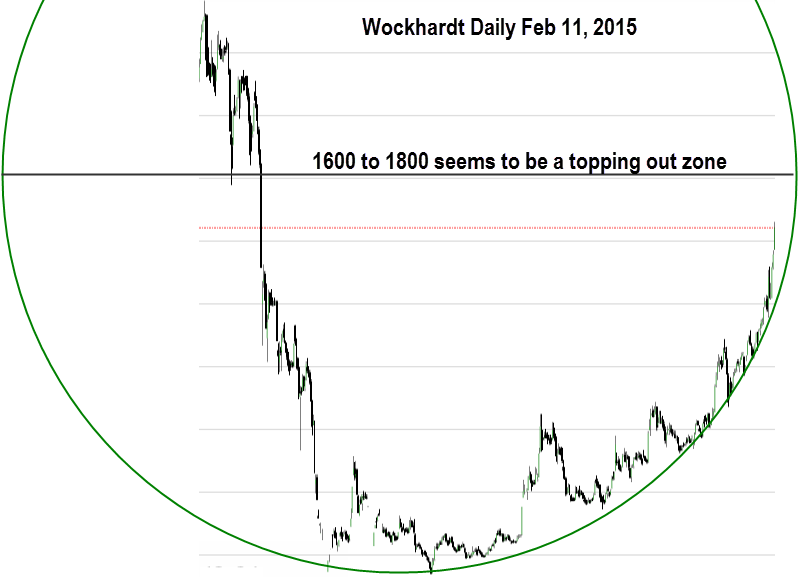 Wockhardt is in a corrective mode. Look to see if it tops out somewhere between 1600 to 1800 in the current upmove. 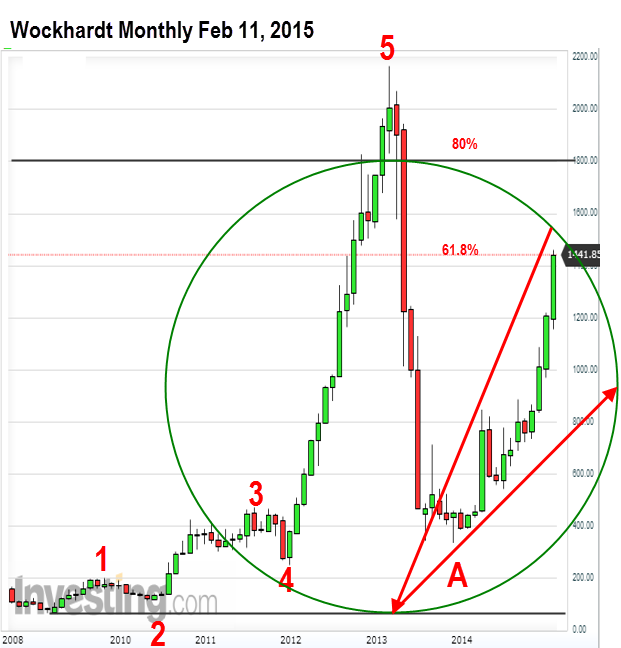 Then wave c should begin down in a prolonged correction. So short term is up, but medium term is down..
Friends, it is extremely difficult for me to keep analysing individual stocks on specific requests. Paucity of time is the major reason. Despite mentioning this several times, I keep getting such requests!So, I intend to start an analysis section for stock specific requests, but it may not be for free.Also the service will commence only after April, 2015, when Jupiter becomes direct! If you are interested you may contact me at my mail id, tekkiesuresh@gmail.com. As per my analysis of the charts, I feel that before the budget, Nifty could break its previous highs and head higher. Wanted to pick your brains and ask you whether you are observing the same Astrologically/Technically. a) Minor cycle is showing a bottom at Feb 27. This implies that the current bottom could be broken after a brief upmove before the budget? b) "Starting from February 16th right upto March 15th, 2015, we are about to go through an intense astro time. There are several aspects which will culminate and bring in major effects in all walks of life, including financial markets." - Does intense astro time imply a good time/bad time? Wacky, I have posted an update, specially addressing your question about cycles. Regarding the astro aspects, let us analyse them more thoroughly in the weekend. Agree with you...difficult to cover individual request. Any plans of starting a class on fin astrology, with whatever you have learnt - which is quite a lot!